I have family in Richmond, London. 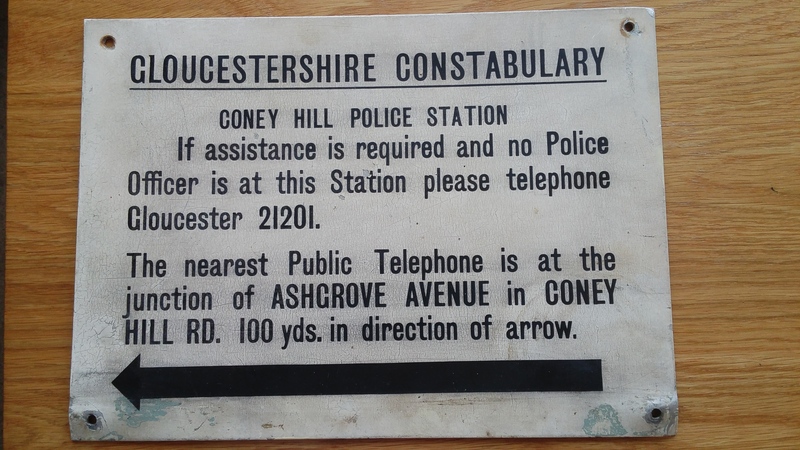 A cousin is moving house and found this sign once affixed to the former Coney Hill Police Station in his property. How it got to London is a mystery.